Manga Spice Cafe is a monthly subscription box filled with manga and all sorts of sweet treats and snacks from Japan. 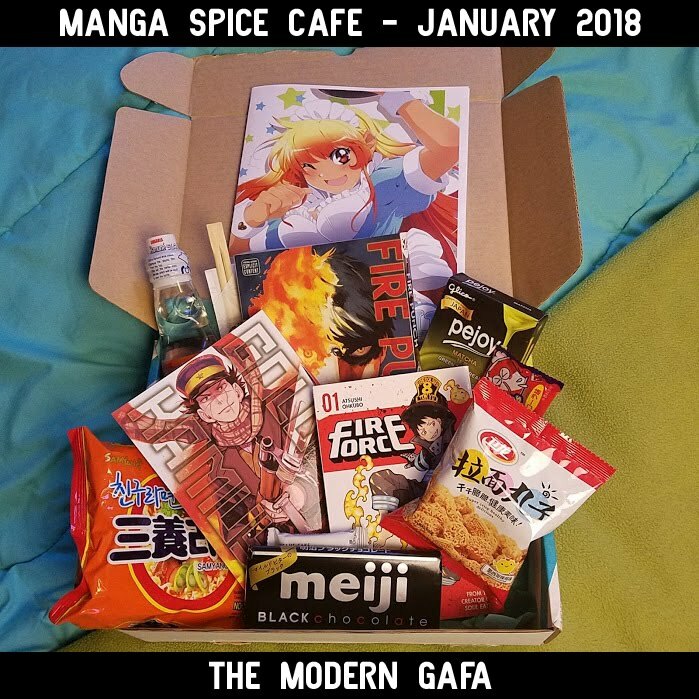 Manga Spice Cafe was generous enough to send me their January box, which had a fiery and powerful theme. Check out the unboxing video above and hit the jump for info on the manga inside. Manga featured in this box embody the theme of fiery and powerful. Fire Punch: a dark, post-apocalyptic story of a man eternally burning on a quest for vengeance in a frozen world. Read my full review of Fire Punch Vol. 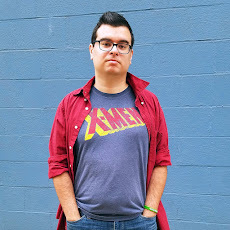 1 here. Fire Force: from the creator of Soul Eater, Force Force follows a boy with the ability to set his feet on fire who joins a team that aims to extinguish the demonic spirits of humans who have spontaneously combusted. Golden Kamuy: a historical manga about a war veteran on a chasing a legend of a hidden trove of Ainu gold. Click here to order your own Manga Spice Cafe box.